Garden Re-Leaf Day is Greenfinger Charity's national fundraising event and it's held every year. It is now a major feature in the horticultural and garden industry's calendar with garden centres, growers, suppliers, QVC, trade associations, gardening clubs and societies, as well as our corporate partners and many, many others getting involved to support this event and raise funds for Greenfingers Charity. 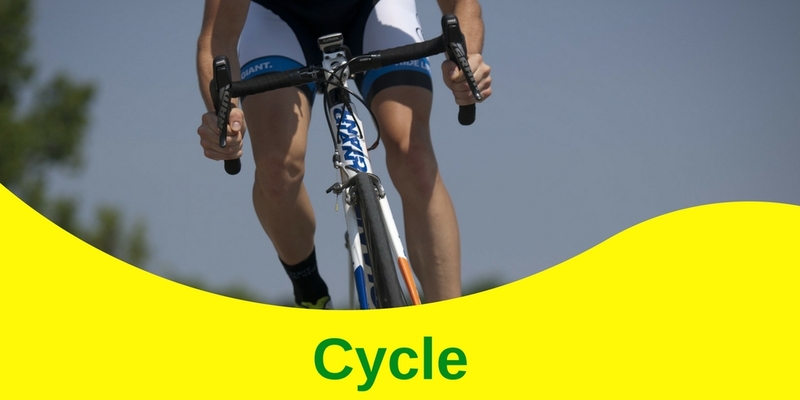 It has raised over £600,000 since its inception back in 2012. Greenfingers Charity's Garden Re-Leaf Day 2019 took place on Friday 22nd March and was once again a huge success. 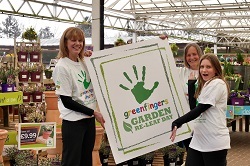 Garden industry and Greenfingers supporters came together to create a thriving day of activities and FUNdraising events. If you still have sponsorship money to donate, you can find out how to donate funds here. REGISTER NOW FOR GARDEN RELEAF DAY 2020! Since Garden Re-Leaf Day started, we have seen sports events including our Great Garden Re-Leaf Day Walk and Cycle Challenge, quiz nights in garden centres, cake baking, sponsored walks, school activities, QVC fundraising, Plantathons and much much more taking place right across the country. You can see some of the ways to get involved on our Fundraising Ideas page. For further information about Garden Re-Leaf Day and some ways in which you can get involved, why not download a Fundraising Pack full of ideas here. Click on the images below to register your event or participation in the Garden Re-Leaf Walk and Cycle Challenge through the Chilterns. What happened on Garden Re-Leaf Day 2019? Over 120 people from garden retailers, suppliers and manufacturers along with teams from outside the garden industry walked a sponsored 5,10 or 20-mile circuit through the Buckinghamshire countryside on the annual Garden Re-Leaf Walk. Starting and ending at World’s End Garden Centre in Wendover – for the second year running - the participants were put through their paces on a trail through the beautiful Buckingham countryside. Teams from Mr Fothergill’s Seeds, Vitax, Hozelock, Great British Cards, Elho, GIMA, HTA, DAC Ltd, Taylors Bulbs, Poplars Garden Centre, DLF Trifolium, Glee, Teleflex, Hornby Whitefoot PR and Kew Green Hotels donned their walking boots for the scenic route, taking in some stunning sights along the way. 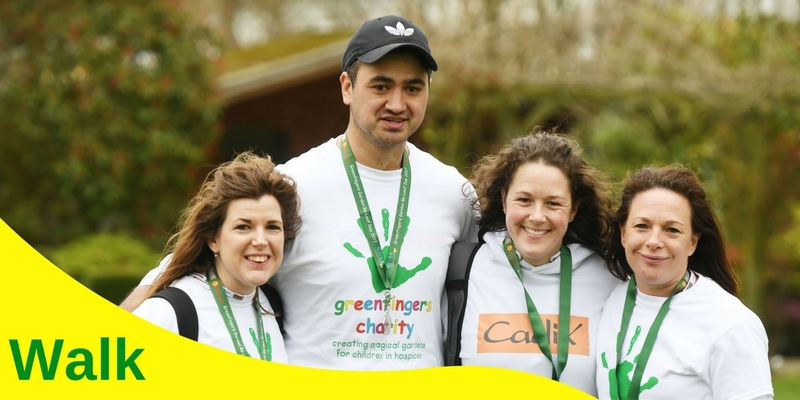 Across the country, garden centres, suppliers and friends of Greenfingers came together to create a vibrant day of FUNdraising. The Blue Diamond team kindly confirmed that £5 from the sale of every Fryers ‘Friend’ rose – the Greenfingers Charity Rose – would be donated on the day, with £1 donated thereafter. 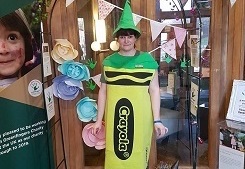 On 23rd March the team at Rowan Garden Centre took inspiration from the Garden Re-Leaf walk and donned their walking boots for a special charity fundraising walk. 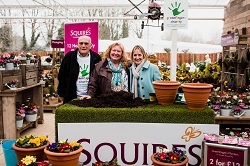 Squires Garden Centres kept the momentum going with its Create and Grow Mother’s Day Planting Weekend (29th – 31st March), with donations from the event going straight to the Greenfingers charity. Another centre making the most of the spring rush will be Sunshine Garden Centre, which will be running special Muddy Boots Gang Children’s activities throughout March. Each session costs £5, with all money raised being donated to Greenfingers. Leading supplier, STIHL, will be holding a Garden Re-Leaf barbeque and car wash on April 2nd, whilst Rolawn Ltd hosted various events on March 22nd including a ‘Mucky Dip’ and cake sale. Finally, teams from Norton Park Hotel will be holding a summer fete in the hotel grounds on May 27th, with all donations going to the Greenfingers Charity. Elsewhere the amazingly supportive team from Kew Green Hotel’s Holiday Inn Chester South site, donned their walking boots to walk to the summit of Mount Snowdon, which stands at an impressive 1,085m. What happened on Garden Re-Leaf Day 2018? Over 70 people from garden retailers, suppliers and manufacturers walked a sponsored 10 or 20-mile circuit through the Buckinghamshire countryside starting and ending at World’s End Garden Centre in Wendover. Teams from Vitax, DLF Johnsons Lawn Seed, Woodlodge, Elho, Mr Fothergill’s, Glee, Hornby Whitefoot PR, GIMA, Briers, HTA, Cadix and Kew Green Hotels donned their walking boots to raise money. A special shout out must go to the charity's Vice Chairman Dennis Espley who was the first to cross the finish line following his 10-mile walk. 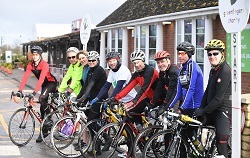 The Garden Re-Leaf Cycle Challenge saw 15 intrepid bike enthusiasts taking on the endurance test of 50 or 100 miles. Teams from Taylors Bulbs, Mr Fothergill's, Hozelock, Briers, Poplars Garden Centre, Durston Garden Products, and Elho all saddled up to take on the gruelling course for to raise vital funds for Greenfingers. Matt Jackson from Mr Fothergill’s was first across the finish line having completed the 100 miles route. The staff at Squire’s Garden Centres in Woking also got their hands dirty, potting over 500 lovely, bright and cheerful spring plants for Garden Re-Leaf, at their opening weekend. There was also a guest appearance by gardening expert and presenter Charlie Dimmock who helped to plant her own containers in aid of Greenfingers. Bob Hewitt’s Klondyke centres held 12-hour Plantathons in six of their stores, sales of potted containers donated to Greenfingers. 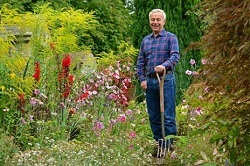 A special QVC Gardening Show was broadcast on the popular shopping channel on Sunday 18 March. It raised a staggering £31,800 from the sales of plants, bulbs and garden sundries. Richard Jackson presented the programme with the help from many generous suppliers: De Jager Bulbs, Hayloft Plants, Plants2Gardens, Mont Rose of Guernsey, Thompson & Morgan and Richard Jackson’s Garden. 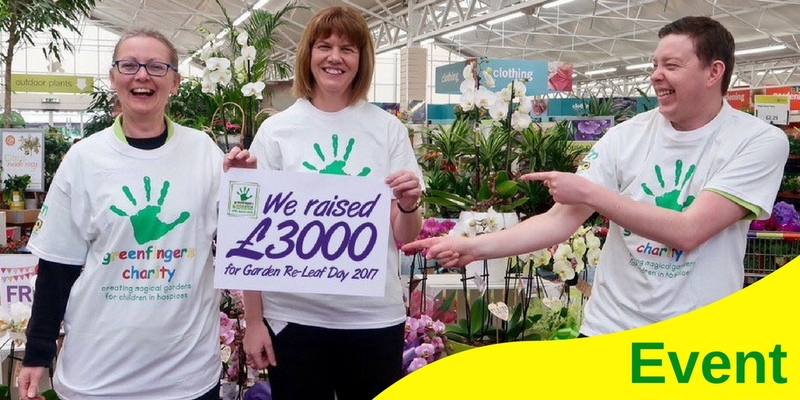 Many garden centres got quizzical for Garden Re-Leaf Day, with masterminds at Perrywood Garden Centre and Poplars Garden Centre each raising over £1,600, whilst all monies from the general knowledge experts at Altons Garden Centre totalled £450. Tates Paradise Park held a garden quiz for local gardening clubs, as well as an auction of flower arrangements made by a local floristry group, plus a sale of special Garden Re-Leaf Day cupcakes in the coffee shop. 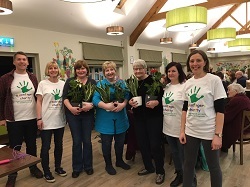 Old Railway Garden Centre raised a spectacular £1,000 for Greenfingers during their Garden Re-Leaf Fundraising Day, which included a Quiz and Curry Night. Cake Sales,Coffee Mornings and Raffles proved a popular Garden Re-Leaf FUNdraiser. Whitehall Garden Centres donated £1 from every hot drink and cupcake sold in their restaurants. The staff at Mr Fothergill’s head office baked green cakes to sell, meanwhile Haskins Garden Centres held staff cake sales at their stores. Downtown Garden Centre and A.H.S Ltd also produced their best bakes to raise money for Greenfingers. Pondkeeper held a raffle in their Billingham-based shop to win pond-planting goodies. Aylett’s Nurseries held a tombola and coffee morning in store. Regional sponsored walks were organised for those who couldn’t get to Wendover. Orchard Park staff walked approximately 15 miles to Lakeside Garden Centre in Warminster. The Hozelock team completed a sponsored 10km walk through the beautiful surroundings of Sutton Park, a national nature reserve close to their Birmingham site. And Longacres held a sponsored walk which started at the Garden Centre in Shepperton and finished at Bagshot, with a pit stop at their Chobham branch. Kew Green Hotels put the FUN into fundraising by 'Going Green for Greenfingers', with staff turning their hotels green across the country. Many competed for the coveted 'Best Costume' prize, which was won by Emma Harding for her brilliant Crayola outfit. Other branches held raffles, cake sales and had donation buckets in public areas. Staff and members at the Holiday Inn Leeds Brighouse completed an epic 12-hour Bikeathon.